As Febreze says, ‘have you gone nose-blind?’ Studies show that the first thing people notice when they walk into a home is the smell. Whether you have pets or not, this is for you. Flooring- your shoes, bare feet, socks, rugs, pets and dirt are on it DAILY. To put it lightly, there are many unmentionables on your floor. All the dirt and pet hair get built up in the corners of the room. By vacuuming/sweeping once a week (at minimum) you are already creating a cleaner, healthier home. Fresh air can work wonders in your home. When I clean, I open all the windows in the house, even if it’s a little chilly outside. Between the cleaning (vacuuming, scrubbing, dusting, etc) and the fresh air, your house will smell renewed. Grime smells. It may be a small amount, and invisible, but it can over power a room. Two popular places that get used daily but don’t get scrubbed is the kitchen sink and showers. Yes, you use soap in them when washing dishes or taking a shower, but you are not physically scrubbing the soap scum and grime away. 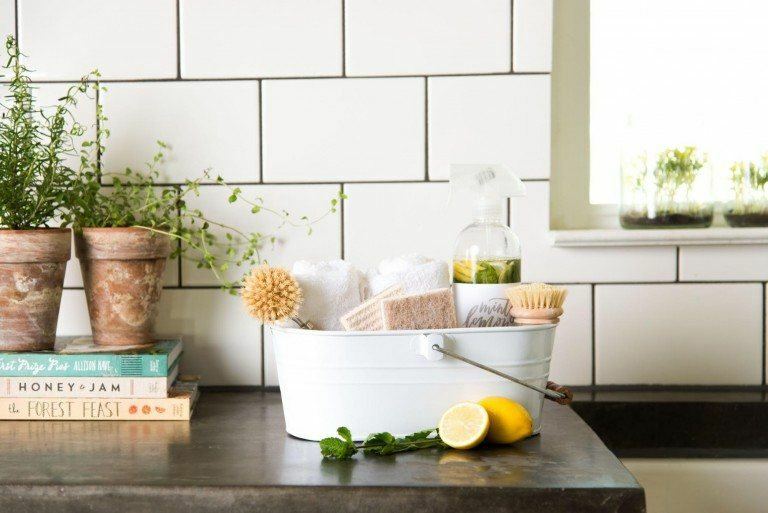 Bonus: You can give your walls a nice wash. A bucket of warm, soapy water will do the trick. 4. Don’t mask the smell. After reading this, don’t go overboard and buy a bunch of candles or wall plug ins. One or two will do the trick. They are not meant to mask the smell. They are there to make a warm, inviting impression.